We are currently in development with the new identity for UK based movie and TV management and production company 42, which was launched this week by partners Rory Aitken, Ben Pugh, Josh Varney and Kate Buckley. 42 will represent a roster of actors, writers and directors which already include actors Michael Caine, John Hurt, Rhys Ifans, Rupert Friend, Paul Bettany, Christopher Lee, Nicholas Hoult, Ben Drew, Jonny Lee Miller and Jonathan Rhys Meyers as well as writers and directors Eran Creevy (Welcome to the Punch), William Monahan, Peter Cattaneo and Daniel Wolfe. With plans to also develop and produce film and television. Founders Rory and Ben set up the production company Between The Eyes back in 2005, which is to remain as a production label for certain titles under the 42 banner. 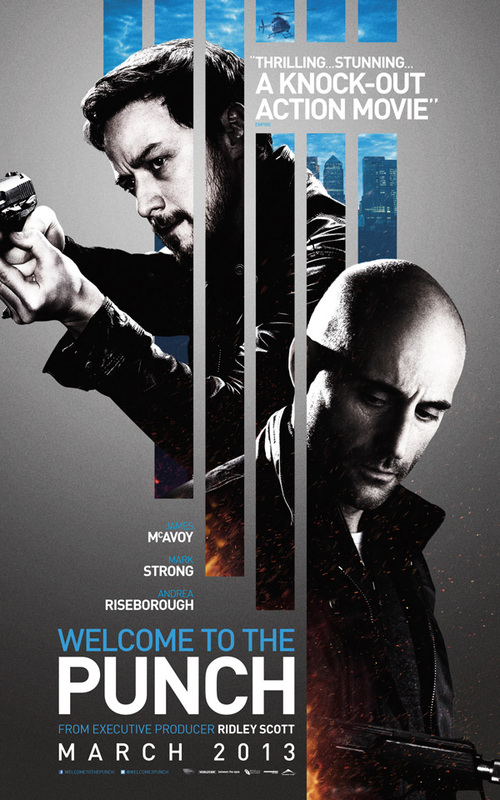 Their latest project 'Welcome to the Punch' starring James McAvoy and Mark Strong, which we created the titles for releases in the UK and US March 2013.